Garlic (Allium Sativum) is a member of the onion family. It is called Lehsoon in Hindi. The bulb of the plant has several fleshy sections called cloves. The cloves have both medicinal and culinary uses. Garlic has a peculiar pungent smell and flavour. It has great medicinal properties. The bulb contains alliin and alliinase which is an enzyme, vitamin A, B1, B2, B3, and C. It also contains calcium, manganese, phosphorous, potassium, sodium, zinc, magnesium and selenium. Garlic is believed to be very beneficial in preventing heart diseases. Garlic prevents clotting of platelets. It disintegrates fibrin, a protein that forms blood clots. It is recommended for people suffering from thrombosis and blockage of artery. It decreases the level of LDL cholesterol in the blood. Regular consumption of garlic regulates the blood sugar levels. It also normalizes the high blood pressure. Garlic contains allicin . It is a powerful anti- biotic. It also has anti viral and anti fungal properties. Garlic kills the harmful bacteria in the intestines and promotes the growth of the intestinal micro flora. It is helpful in diarrhea, gastroenteritis, colitis, intestinal infections and flatulence. It promotes the overall well being of the intestines and prevents the formation of malignant tumours. 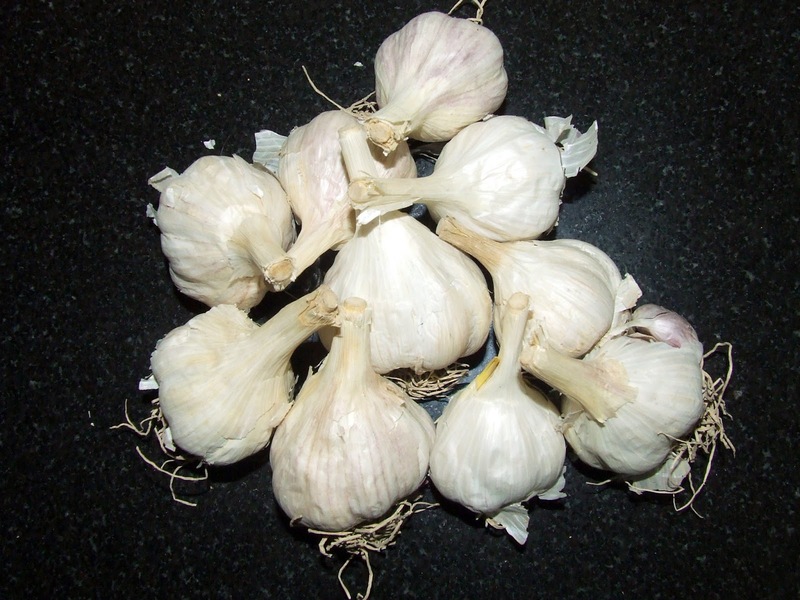 Regular consumption of garlic also prevents bronchitis, cough, cold and asthma. It prevents the occurrence urinary tract infections. Garlic activates the defense mechanism of the body. It helps the body to destroy the cancerous cells. Regular consumption of garlic kills the worms in the intestines. Besides medicinal uses, garlic is also very popular around the world as a flavouring herb. Garlic is used immensely in the Chinese and Thai cuisines. In Indian dishes, garlic is used along with ginger, tomatoes and onions to make gravies. Garlic chutney is made by blending 7-8 cloves of garlic along with a bunch of fresh coriander, 2-3 green chilies, dry mango powder, salt and sugar. It is an appetizer. It tastes excellent in sandwiches. Garlic toast can be made by melting butter and adding raw garlic paste along with a little salt and heating for a while so that garlic flavour is released into the butter. Garlic is also put in the soups. Garlic pickle is available in the market. Garlic pills of some very well known pharmaceutical brands are available. But the best way to get maximum benefits of garlic is to have 1 to 2 raw cloves of garlic on an empty stomach in the morning. Garlic can be easily grown in the garden. The plants can be bought from the market or the cloves can be sown in the moist soil. The plant grows well in dry and sunny areas. The plant is hardy and is not attacked by the pests. 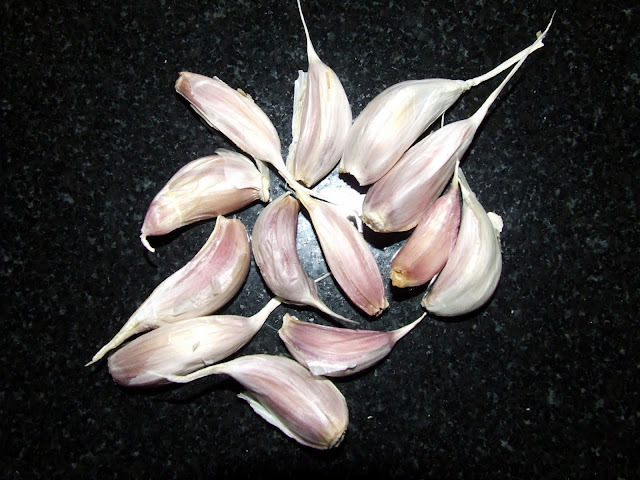 The stems or the leaves are often cut or tied so that the garlic bulbs grow bigger. The stems and leaves also have a distinct flavour and are eaten as a vegetable. When the leaves start drying up, the bulbs are ready to be taken out. The bulbs are dried in the sun and stored for use.